RIVER MAIGUE is a worthy favourite after chasing home the smart Dodging Bullets in a Grade 2 contest at Cheltenham in November and is sure to improve for the run. Aikideau: Two hurdles wins at Plumpton followed by a good third in Grade 3 handicap at Sandown showed ability; although struggled a bit in a good novice race at Lingfield the switch to handicap chasing could bring about improvement off a lenient mark and having won on heavy rates a good each way bet. Poungach: This race is named after the Nicholls wonder horse Kauto Star and his trainer would only be too pleased to win the inaugural running. His entry Poungach has a decent chance of pulling it off with Ruby Walsh on board. He achieved high rank as a hurdler and although his chasing career got off to a stuttering start he responded well to first time cheekpieces on his latest running at Haydock (the useful runner up has won since) and has a realistic chance at a decent price. Dodging Bullets: Has plenty of improvement in him and impressive on reappearance when beating River Maigue at Cheltenham. Rates a decent bet provided he handles the heavier ground. Raya Star has place claims after a good record last season and an impressive second to the high class Oscar Whiskey at Ascot in heavy ground. Plenty of runners have form in this race at Kempton Park including favourite Long Run and Captain Chris but Riverside Theatre appeals as a likely sort who has won three grade 1's, acts on soft, goes best fresh and has been laid out for this race. Won twice last season at 2m5f-2m6f and run well at up to 2m2f on Flat this season; not disgraced in two runs over hurdles last month at 2m on soft; likely to be in the mix and has place claims. 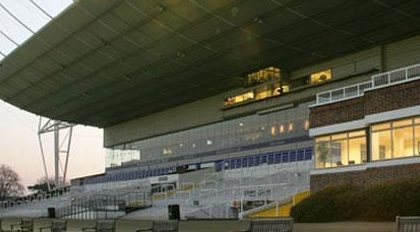 NB You can use betting software to place bets automatically at Kempton Park. BF-BotManager is the one I use as it is reliable and is constantly updated to reflect best practice and industry thinking.